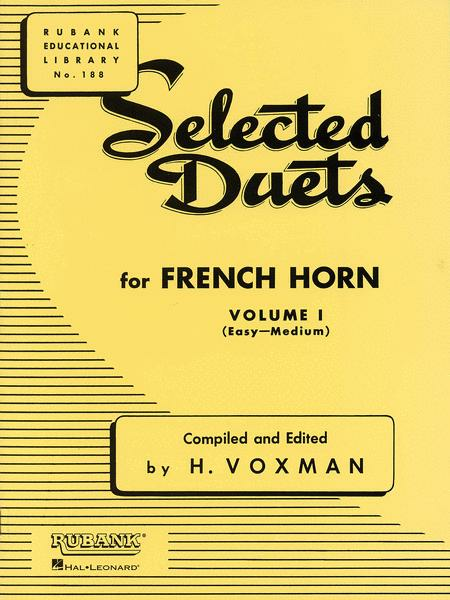 This classic series of duets for like instruments is recognizable to nearly everyone who has ever studied an instrument. The wealth of material supplements musical development and provides a rich experience for growing musicians. Duet playing is often a student's first form of ensemble experience - technique, tone quality, intonation and balance are introduced as students do one of the things they enjoy most - making music with a friend. And duet playing leads easily and naturally to competent performance in larger ensembles. (Vol. I ? Easy to Medium, Vol. 2 ? Medium to Advanced).